While looking for something which I did not end up finding, I ran across these pictures taken several years ago at SSTIKS, the South Sound Traditional Inuit Kayak Symposium which takes place every year in the vicinity of Tacoma, Washington. It's time to dust off these pictures and share them with the world. I have no particular agenda to this posting other than pointing out that when you make your own stuff, you get to have it your way, within the limits of your ability, of course. 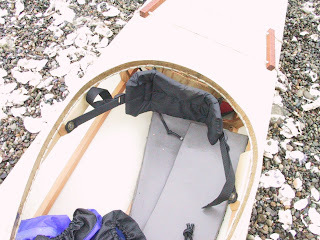 This boat may be one of the Tom Yost model kayaks. 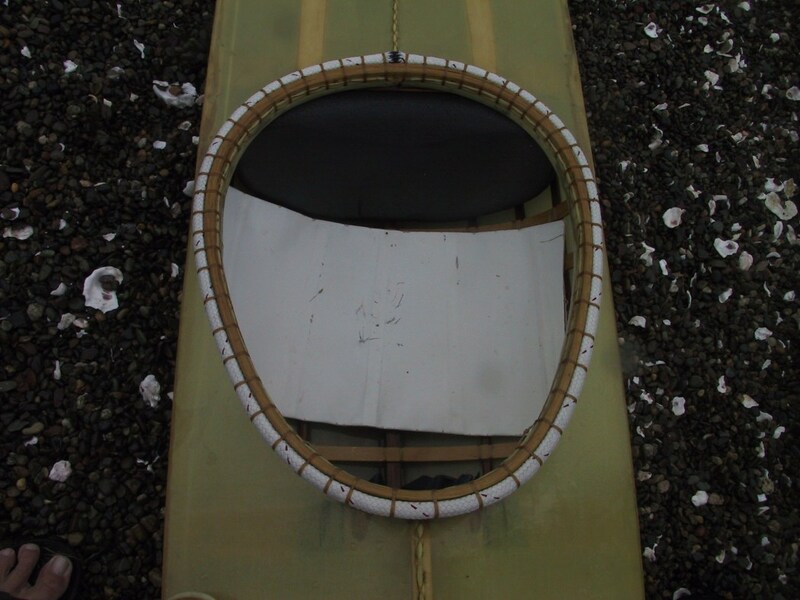 Coaming rim looks to be plywood. 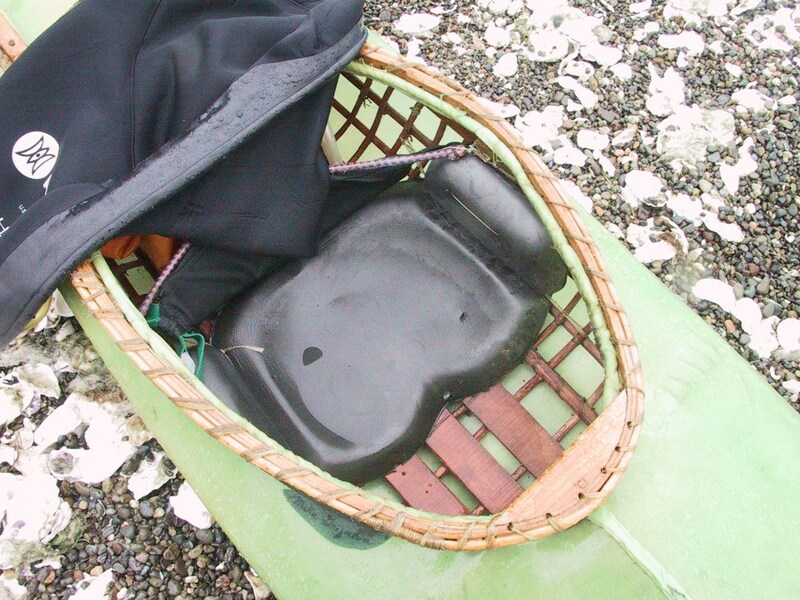 Back rest is a block of foam and the seat cushion is of uncertain origin, possibly foam inside a cloth sleeve or maybe one of those inflatable seats. Here's another back strap version, adjustable, possibly home made. 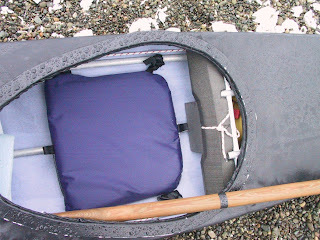 Seating is foam pads. Yet another foam solution. 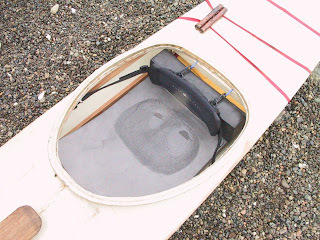 The seating mat seams to have a sculpted seat under it. 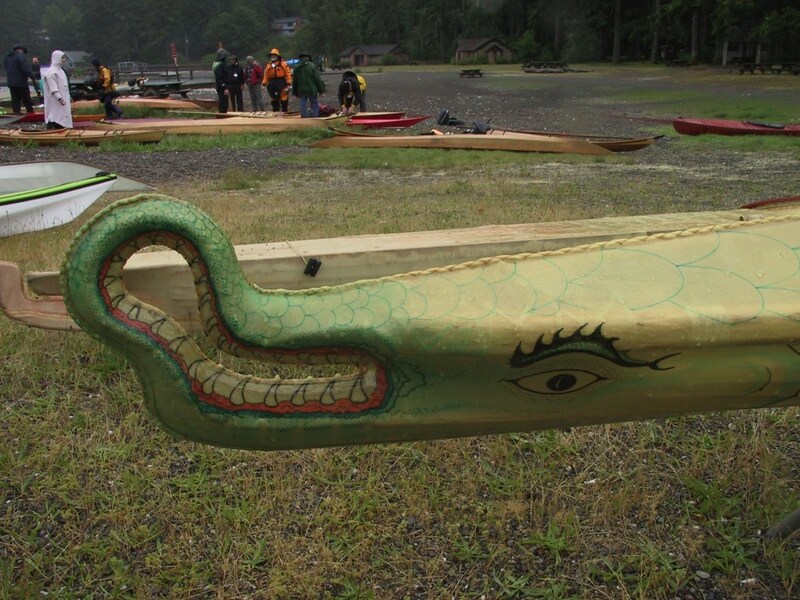 The frame of this boat is made out of bamboo and the mouth has a fanciful dragon design painted on it. Cushions of the dragon boat have a tie dye fabric cover on them. Note the hull stringers of bamboo. 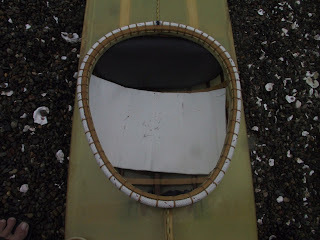 If you click on this photo, you can see the innovative joining of stringer parts with the skinny end of the tapering bamboo pole overlapping. 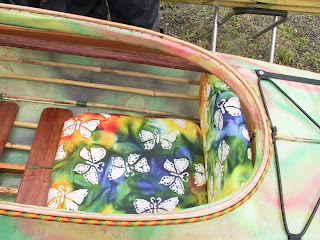 And yet another seat cushion. This one looks like the level of complexity that I usually aspire to. 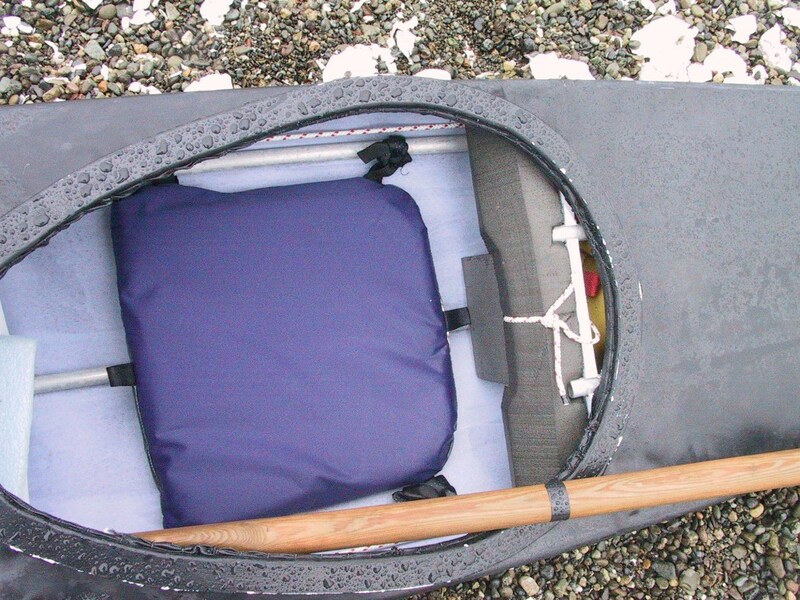 One reason my boats have no fancy seats is that it never occurred to me to put fancy seats in my kayaks since a simple mat on the floor seems to work. 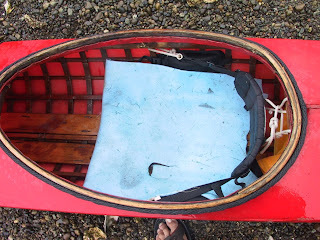 However, if you come to DIY kayaks from the commercial realm, you are more likely to feel like you should put a fancy seat in your boat like the commercial kayaks have. One last seat. 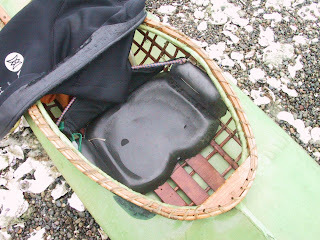 Looks like commercial back band with foam seat. One neat thing about making your own DIY foam seats is that the crosslinked polyethylene foam blocks are very consistent structurally. This means they can be customized to an impressive degree. You can even sand these high density foams for the perfect fit!